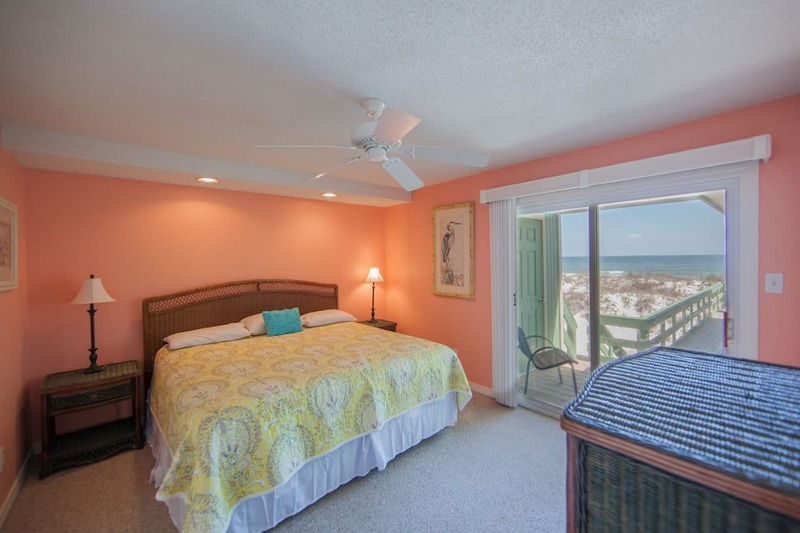 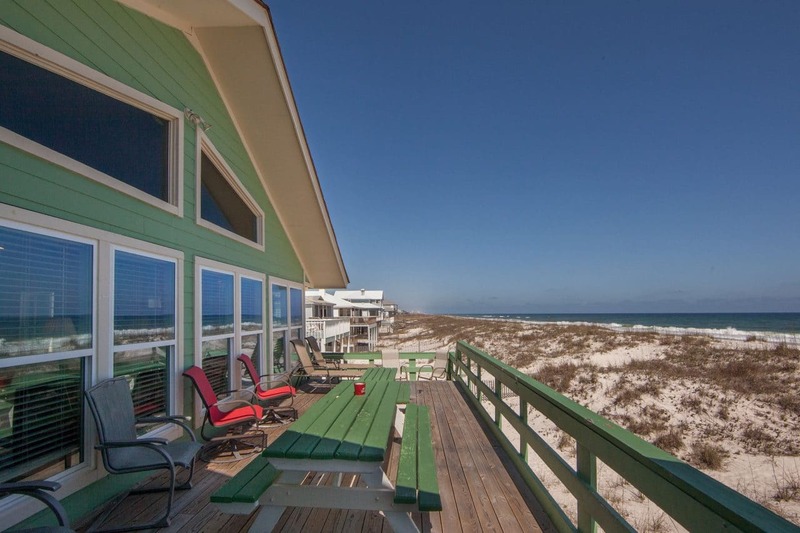 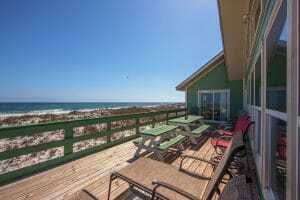 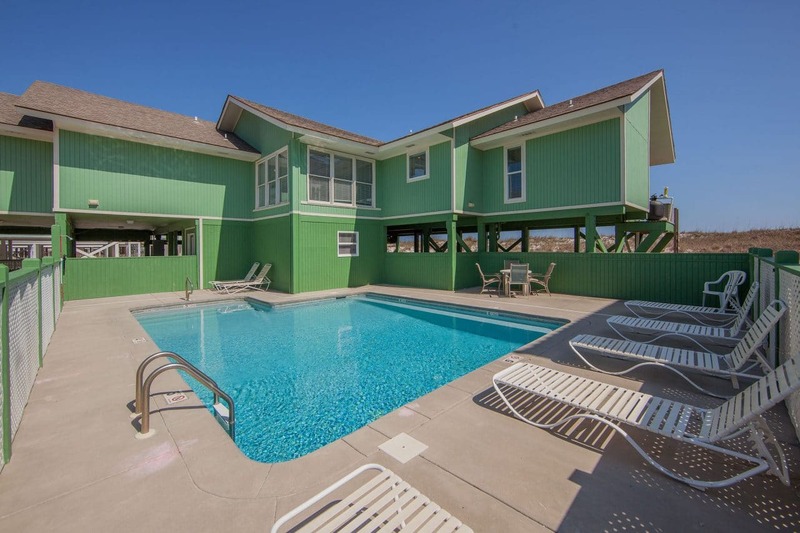 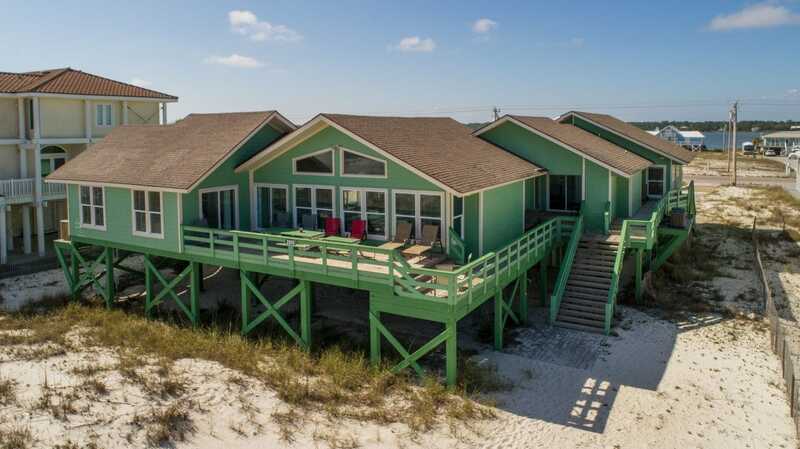 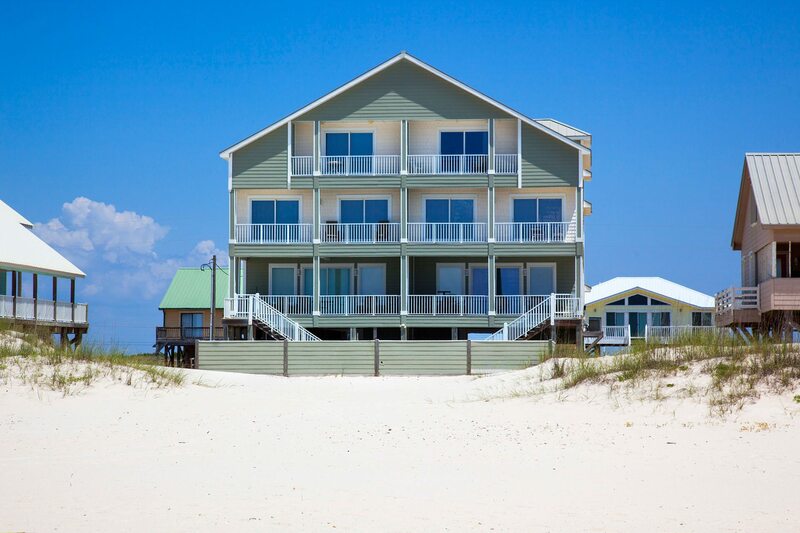 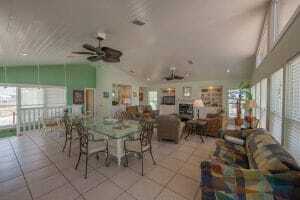 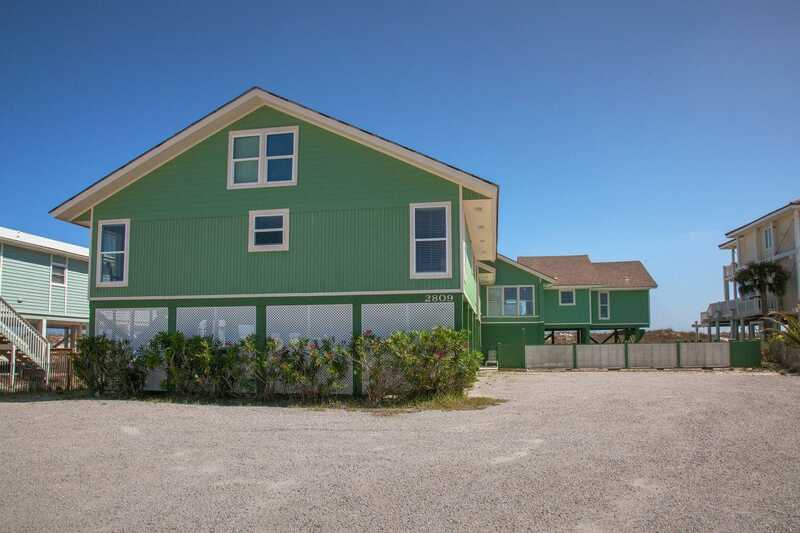 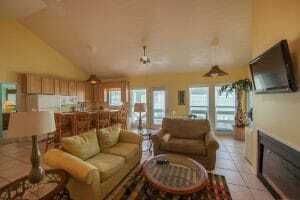 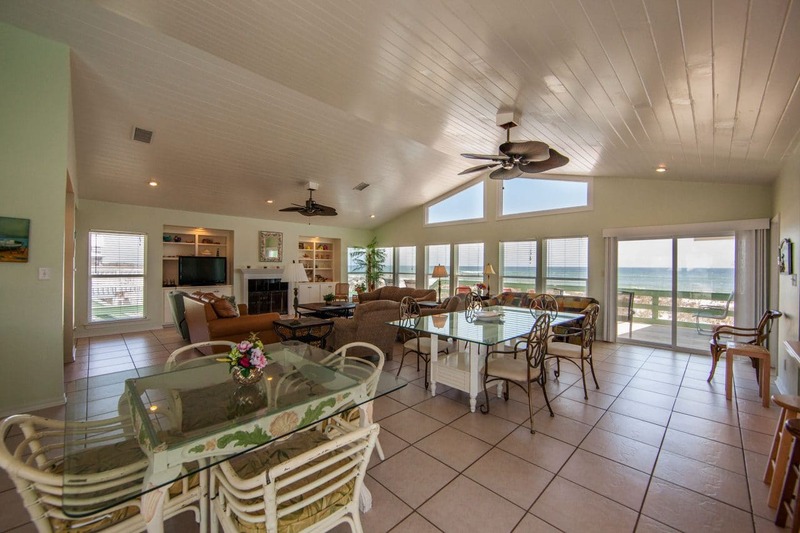 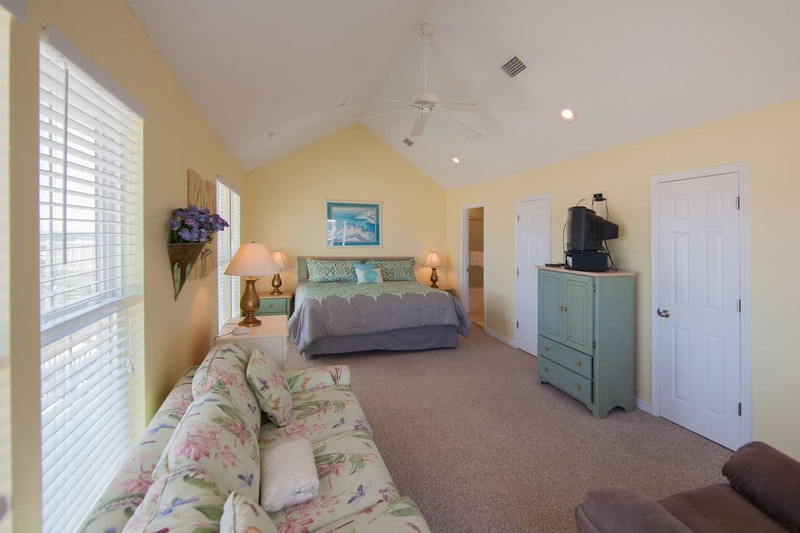 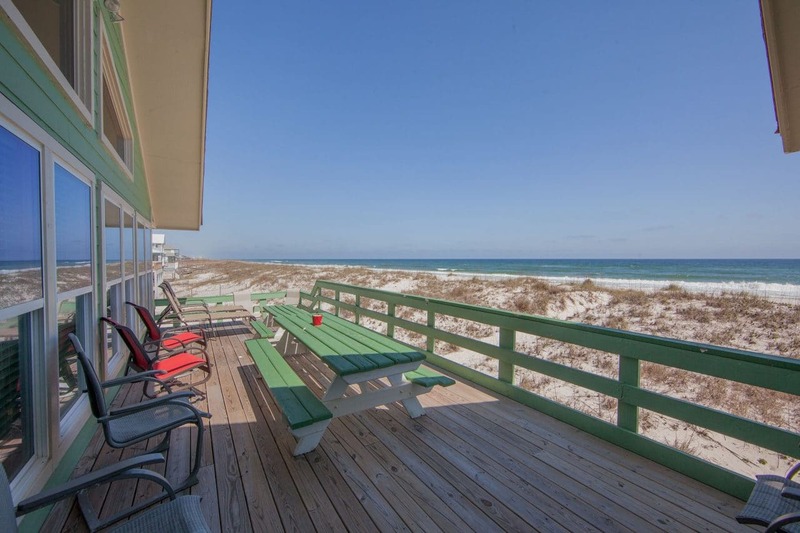 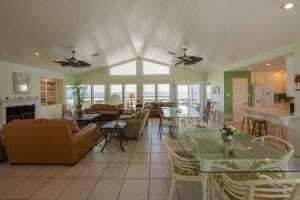 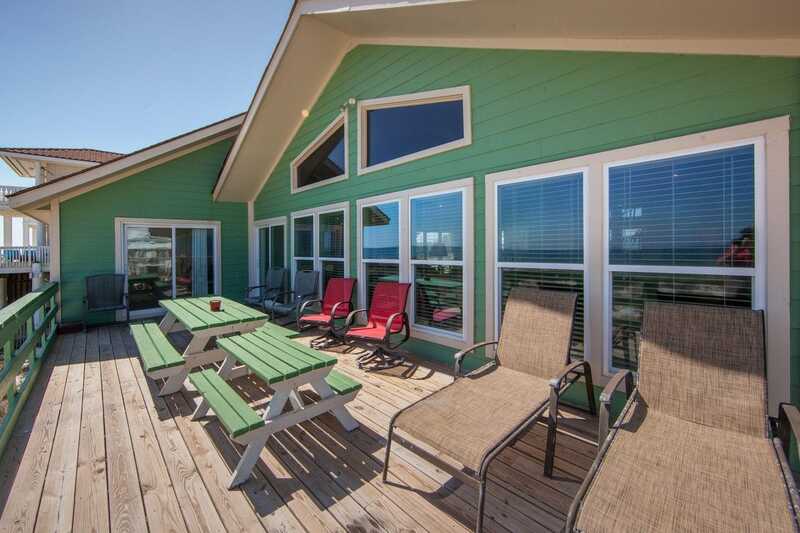 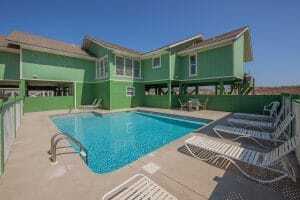 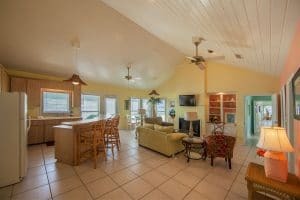 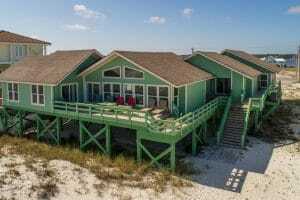 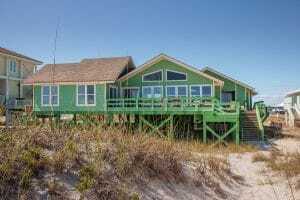 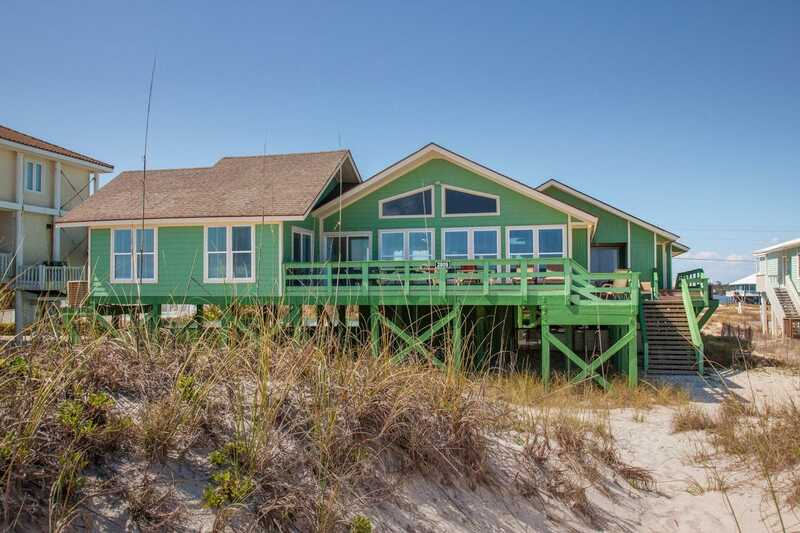 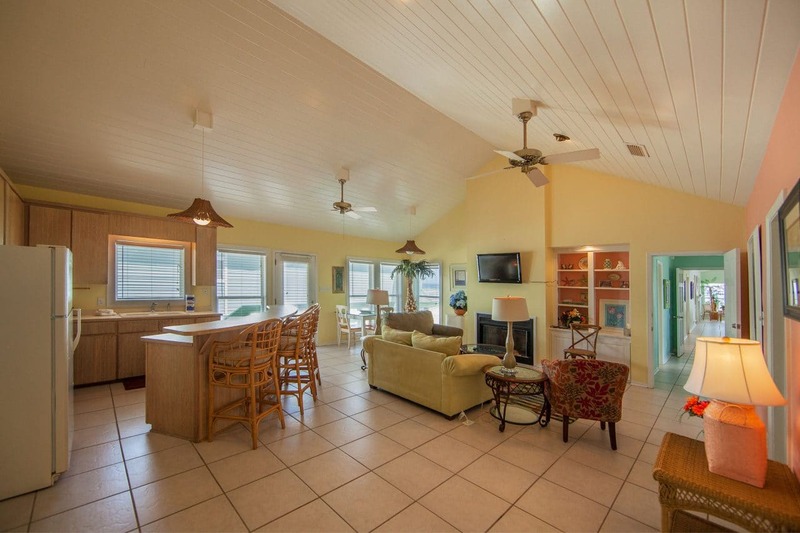 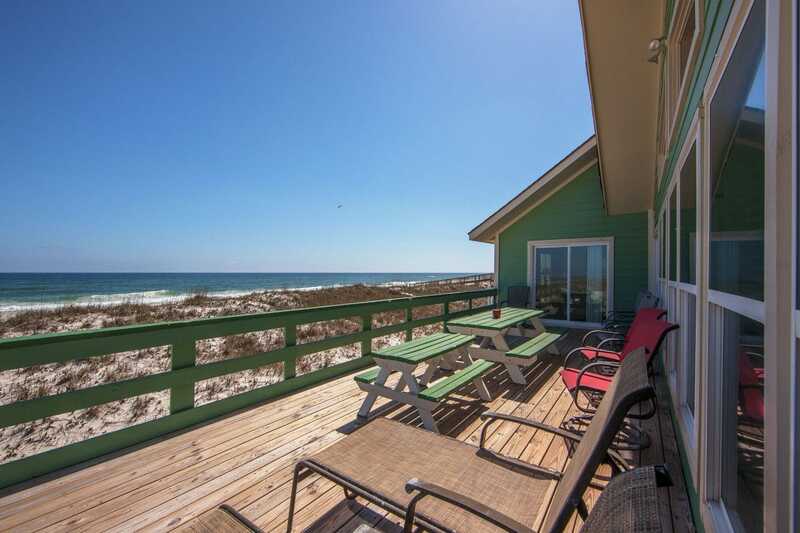 Summer Tide is a sprawling gulf front home with 8 bedrooms and 5 baths, sleeping up to 26 people. It is located approximately 5.2 miles west of Hwy. 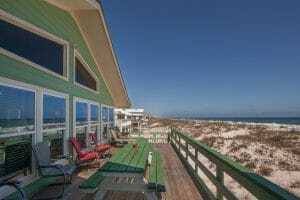 59 on West Beach Blvd., in Gulf Shores. 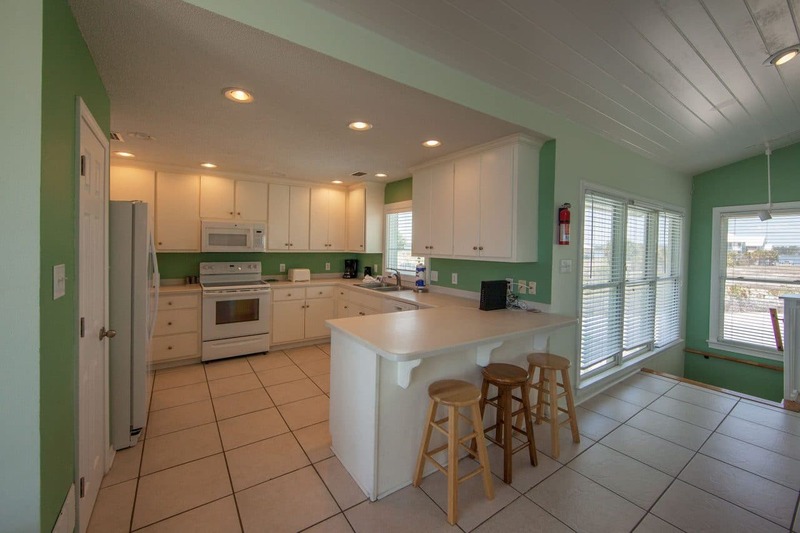 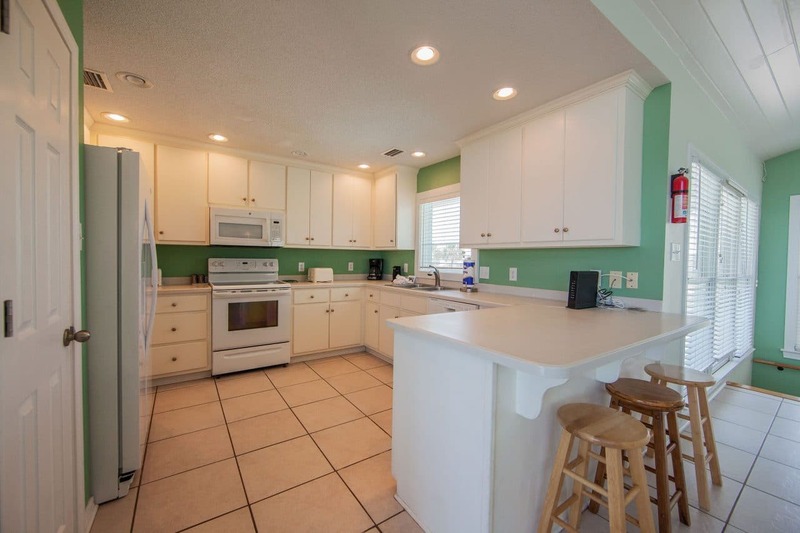 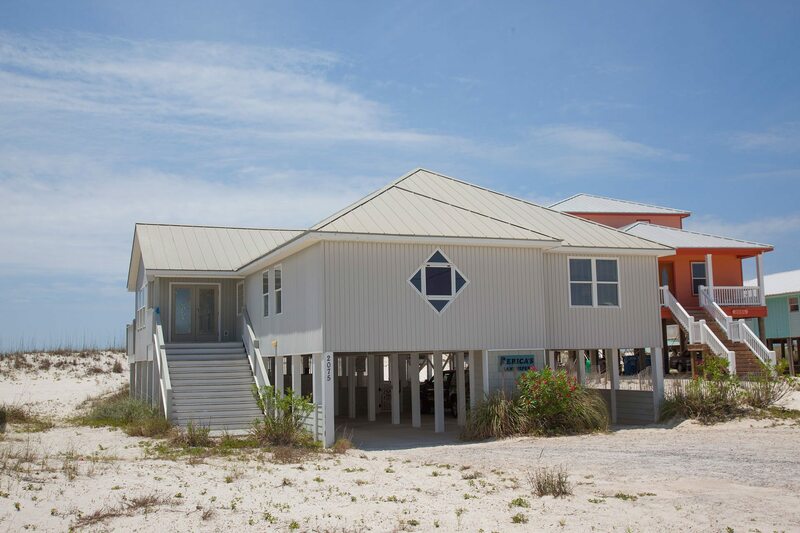 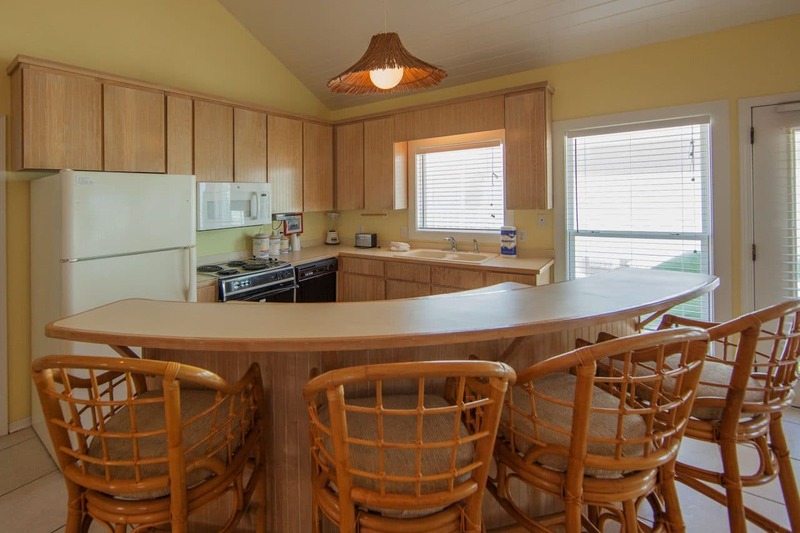 A uniquely designed one level home, Summer Tide features a south and a north wing, each with a fully equipped kitchen and an open deck that wraps around the east side of the property. 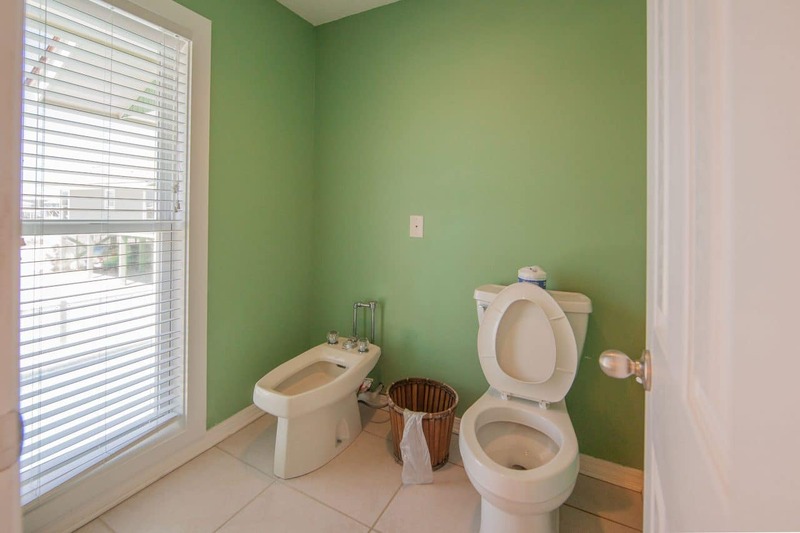 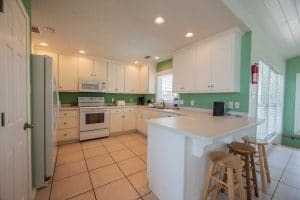 The layout for this home allows added privacy and is perfect for multiple families, or a family wanting some separation between adults and children. The South wing of Summer Tide has four bedrooms, including 3 bedrooms with a king bed in each, one room with two double/single bunk beds, and a bunk room with two single bunks. 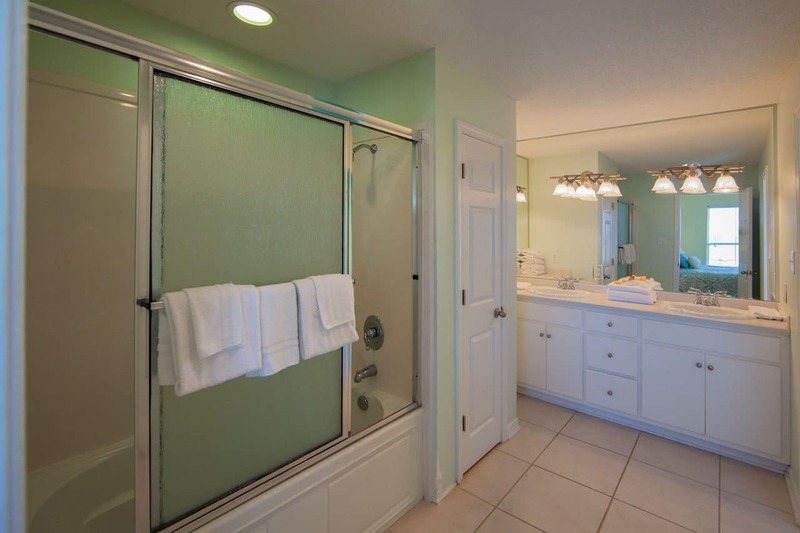 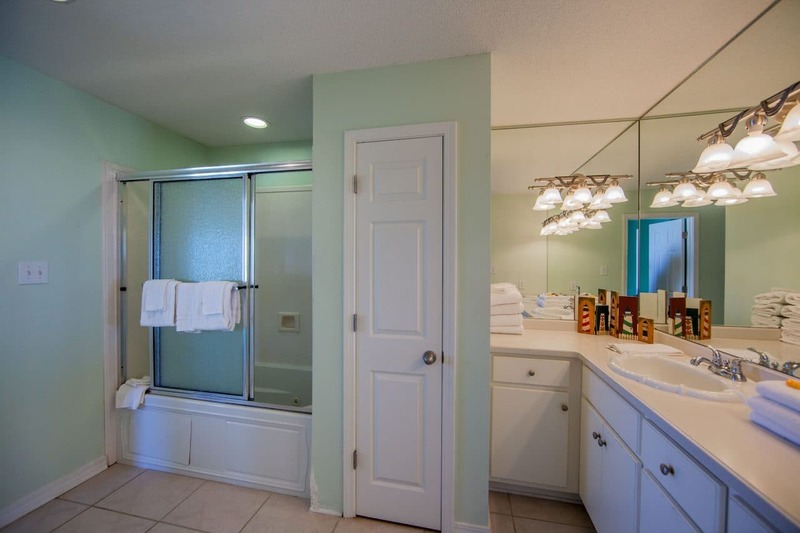 There are three full baths in this wing: two private and one Hollywood bathroom (shared by the rooms with the queen bed and two twins). The master suite in this South wing is gulf front with picture windows and a whirlpool tub–soak away your worries and enjoy the view. 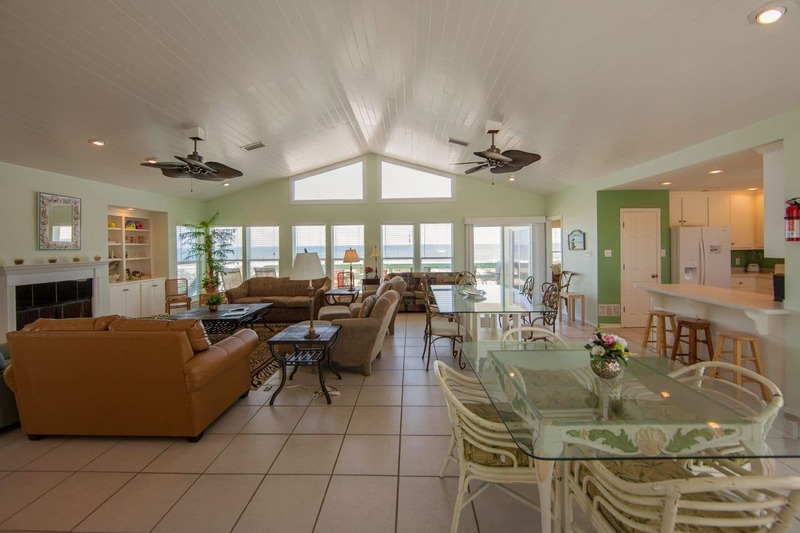 The North wing of Summer Tide also features picture windows on the East side of the property offering views from the living area and kitchen. 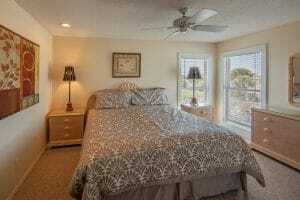 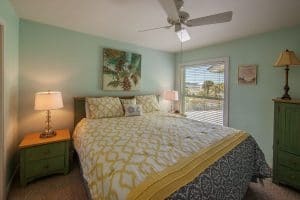 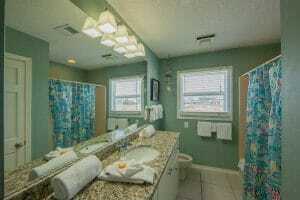 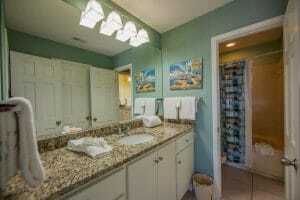 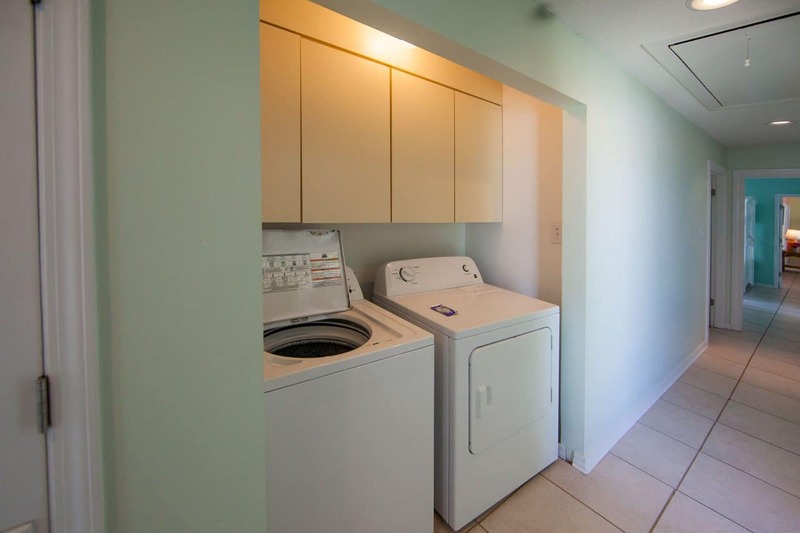 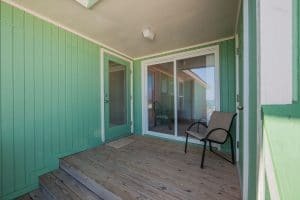 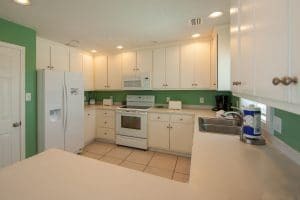 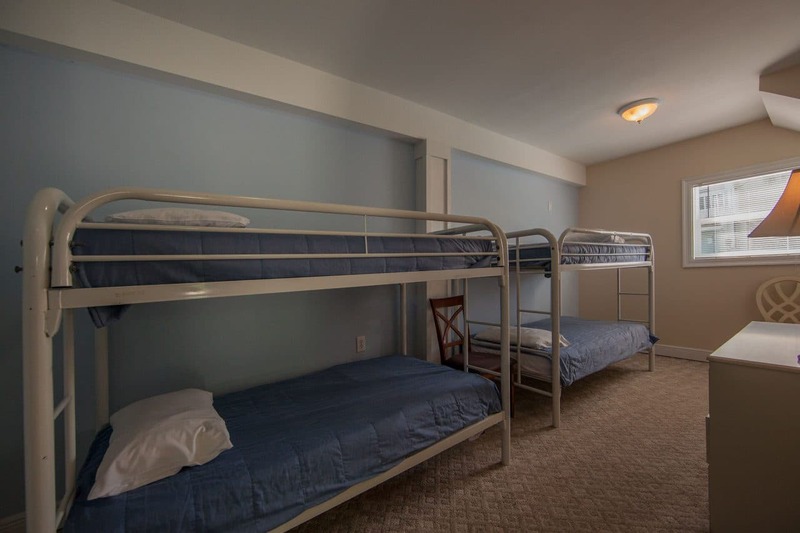 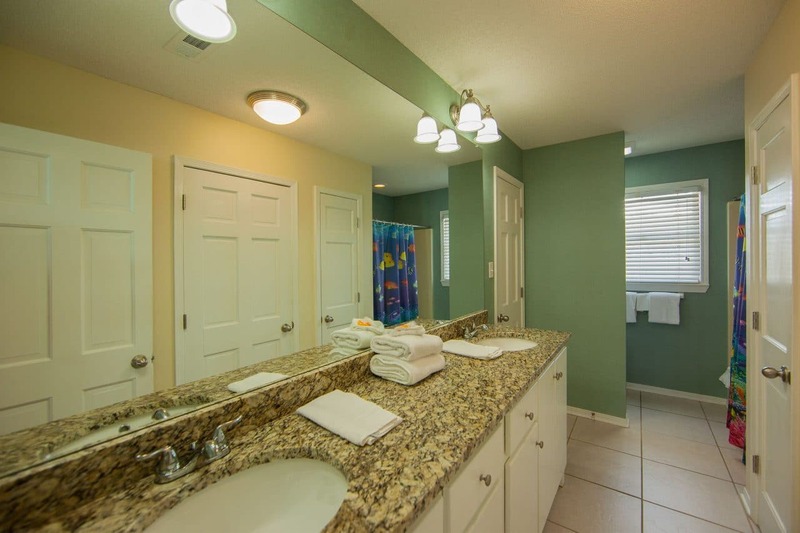 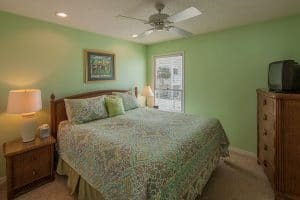 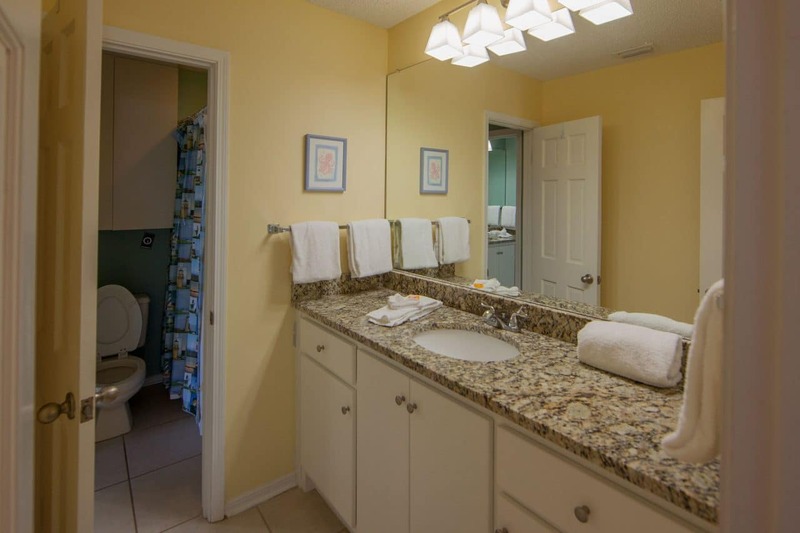 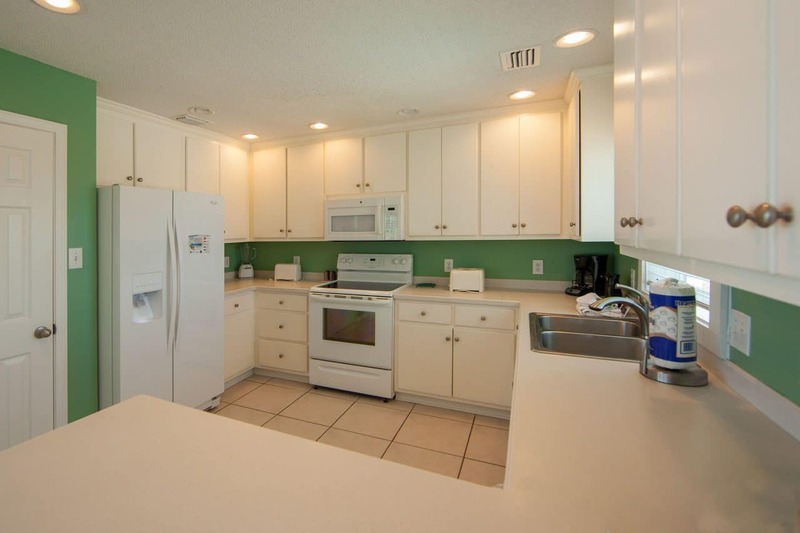 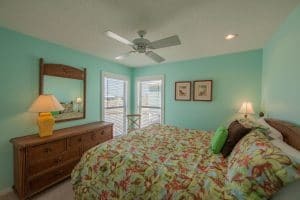 There are three bedrooms, each with a king bed, and two full baths (one private and one shared). 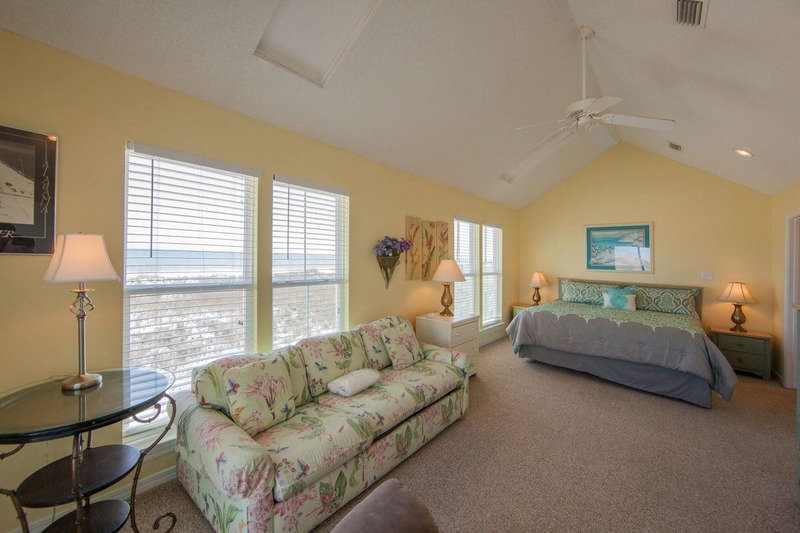 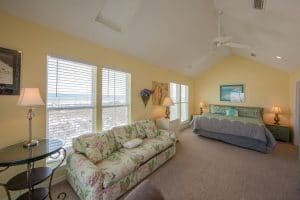 Both living areas offer good great gulf views and each includes a queen sleeper sofa for a bit of extra sack space. 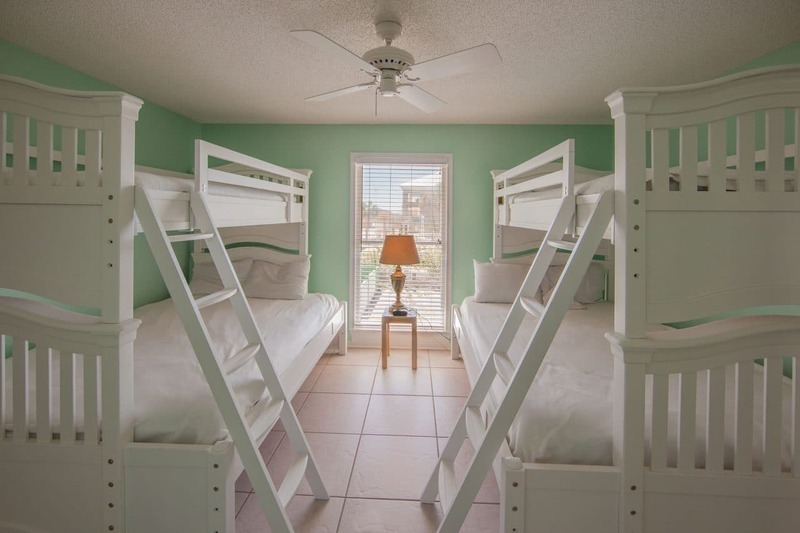 A ground floor entry features a foyer and sleeping area with two bunk beds that would be great for four children. 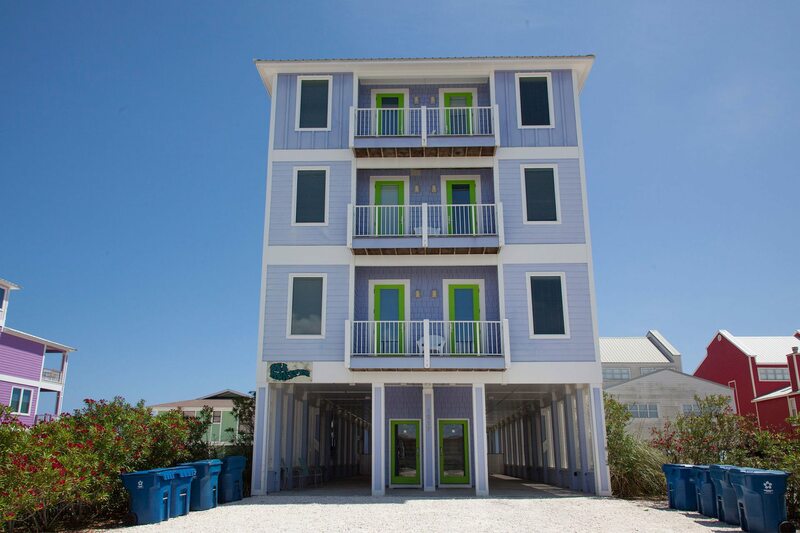 The covered parking for Summer Tide is ample.